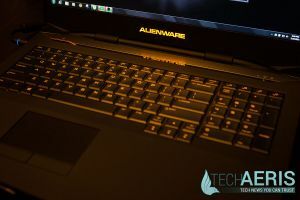 Alienware has long been one of the leading brands when it comes to gaming laptops, and Dell has 13.3″, 15.6″, and 17.3″ versions available. 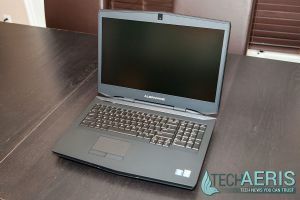 We had a chance to test out one of their 17″ models and put it through the paces in our Alienware 17 laptop review. 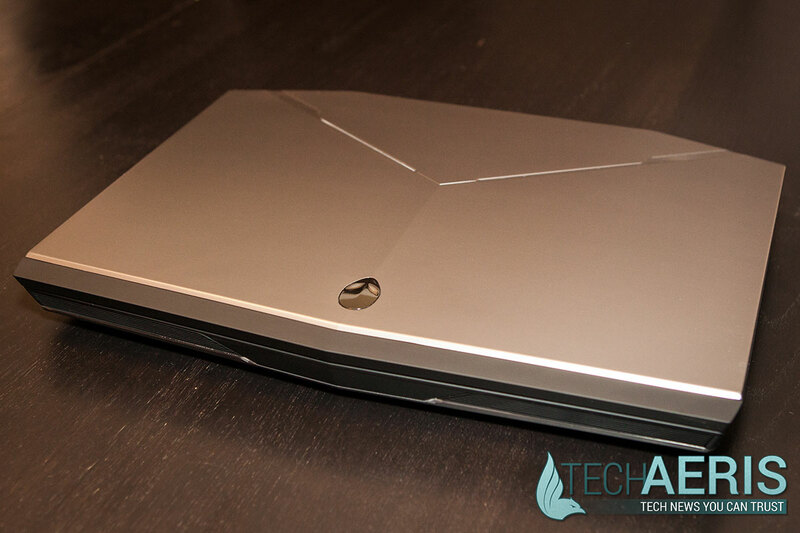 The Alienware 17 has a sleek, almost stealth look to it. 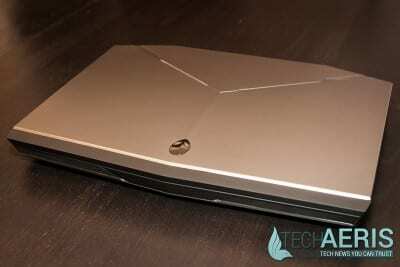 The Alienware 17 was given a new name and body design in 2013 over previous versions of the laptop. 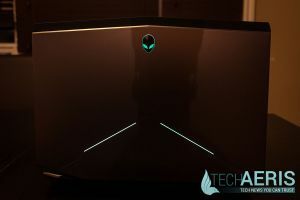 The new design features sharp angles and edges giving it a pseudo-stealth look, and features lights and the Alienware alien logo on the lid and around the sides and front of the laptop. 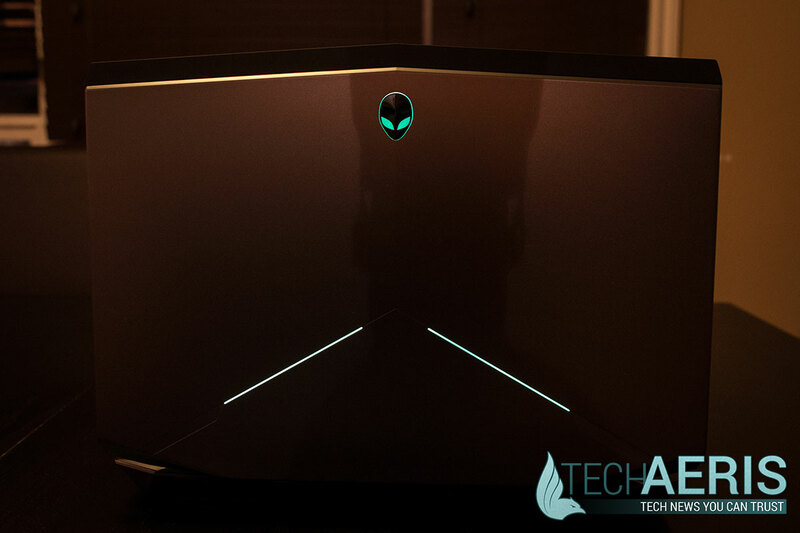 The Alienware brand name is lit and centered just underneath the screen. 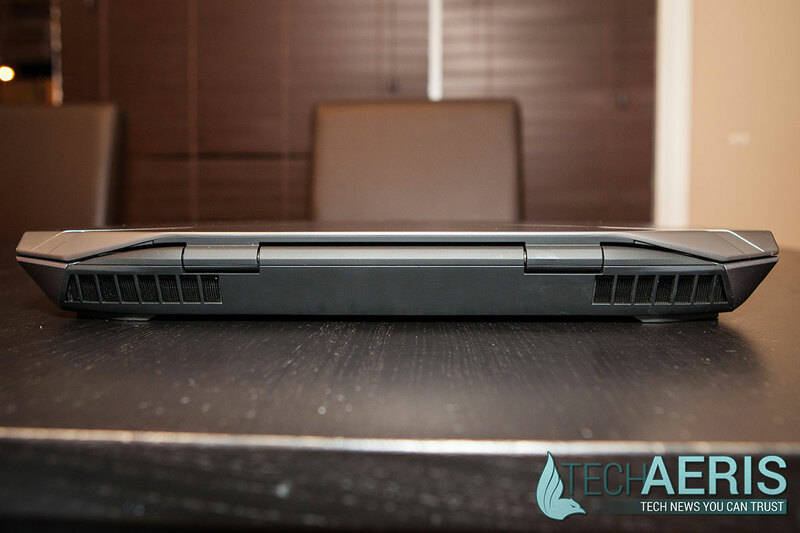 The surface of the laptop surrounding the keyboard and touchpad is coated with a soft rubberized material. The full keyboard features a number pad to the right with four customizable macro keys at the top of the number pad. 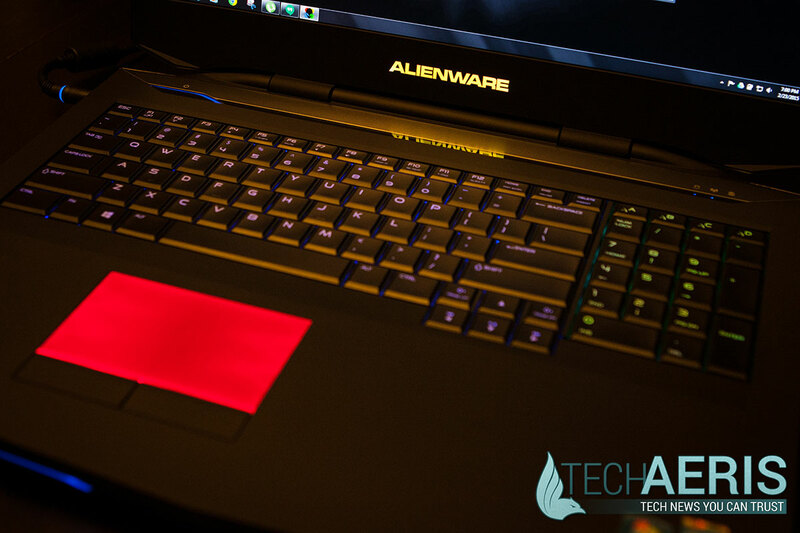 The keyboard is very nice to use, the keys respond well and are soft to the touch. As well, the keyboard is fairly quite when typing as compared to other keyboards. 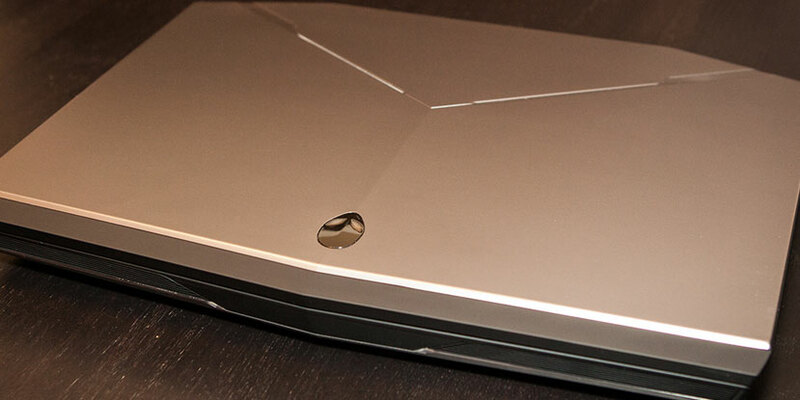 All said, the Alienware 17 is one slick looking laptop. 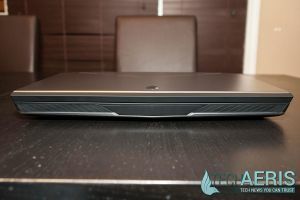 As one could expect, being a beefy laptop of this size it isn’t the lightest and weighs in at just over 10 lbs. Even though it’s slightly thicker than other 17″ laptops, it still fit fine in my regular 17″ laptop bag. The 17.3″ screen on the laptop has an anti-glare finish which is nice for lit areas as there isn’t a lot of glare that bounces on it. The default color profile looked fine for both photos and movies. 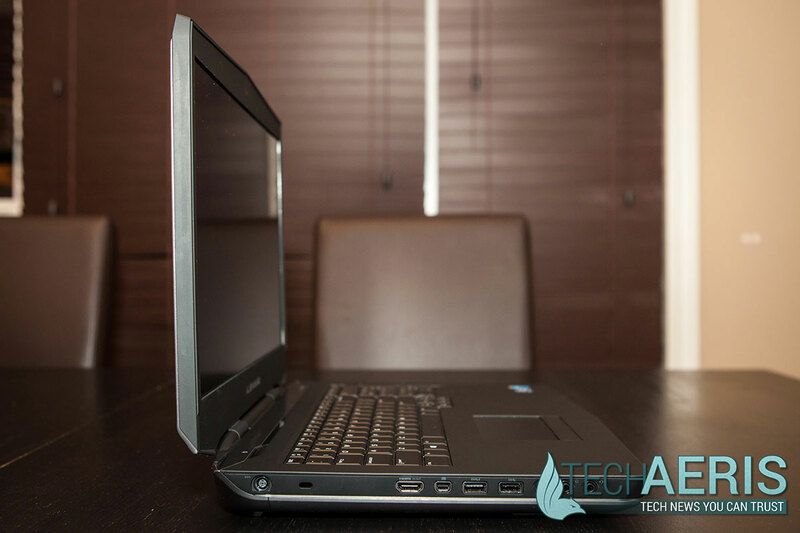 The laptop has 8 screen brightness settings and at the brightest setting, the display was easily visible in very bright surroundings. On the other hand, the lowest setting felt a bit to bright – but not much – when used in a completely dark room. 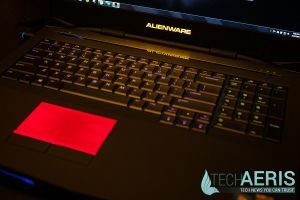 One or two more brightness steps down would definitely be a nice addition to the laptop. 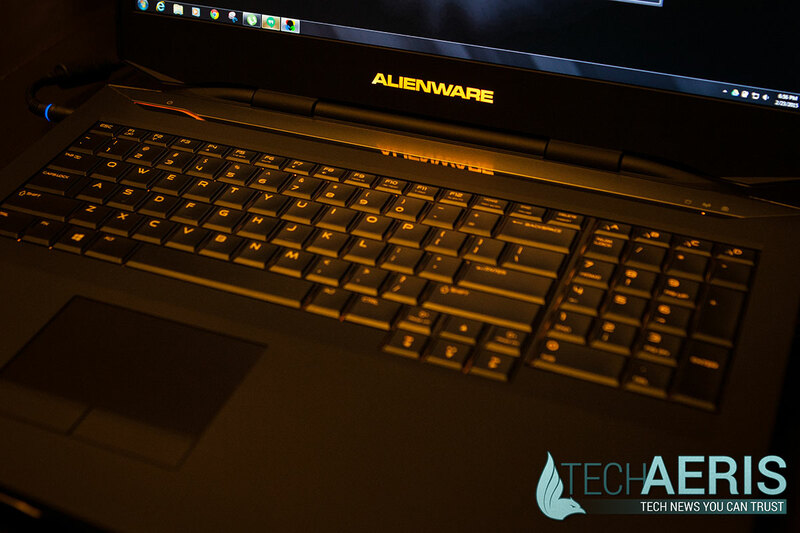 The Alienware 17 came installed with Windows 7 Home Premium, the newer models are available with Windows 8. 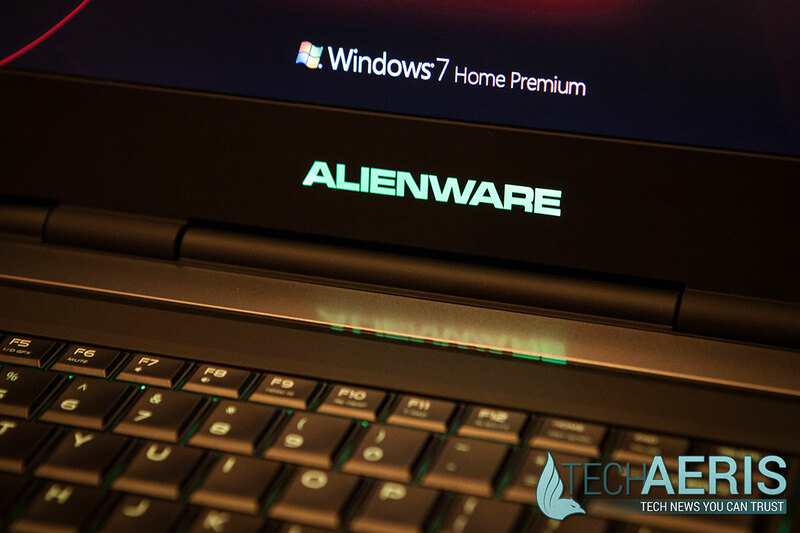 In addition to Windows, the laptop features AlienAutopsy, AlienRespawn, AlienFX, AlienFusion, AlienTouch, Alienware TactX, and AlienAdrenaline. Most of these are just fancy names for basic operations, but we’ll take a quick look at each one. 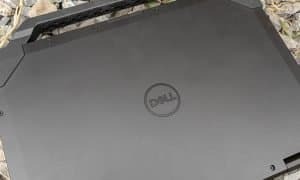 AlienAutopsy is Dell’s SupportAssist software and allows you to scan your system, view system info, and update drivers and firmware for your system. AlienRespawn allows you to create system recoveries, schedule full system backups, create file and folder backup archives, and restore these files and your stystem to it’s factory state. AlienFX lets you customize the LED colors of 10 different areas of your laptop. 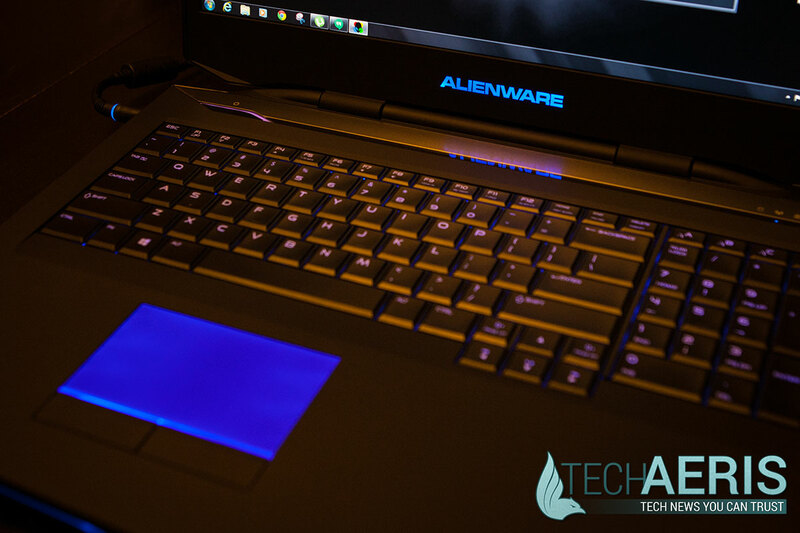 As mentioned previously, there are various LEDs on the laptop, including the backlit keyboard. AlienFX lets you customize the color options of each item split into 10 different groups. Each of these 10 groups can be customized to 19 colours. The keyboard is further split into 3 sections allowing you to set a different colour for the left, middle, and right sections – as well as a separate color for the number pad. Not only can you set a colour, but you can go one step further and set up colour loops, or even colour changes based on certain triggers like receiving an email for example. 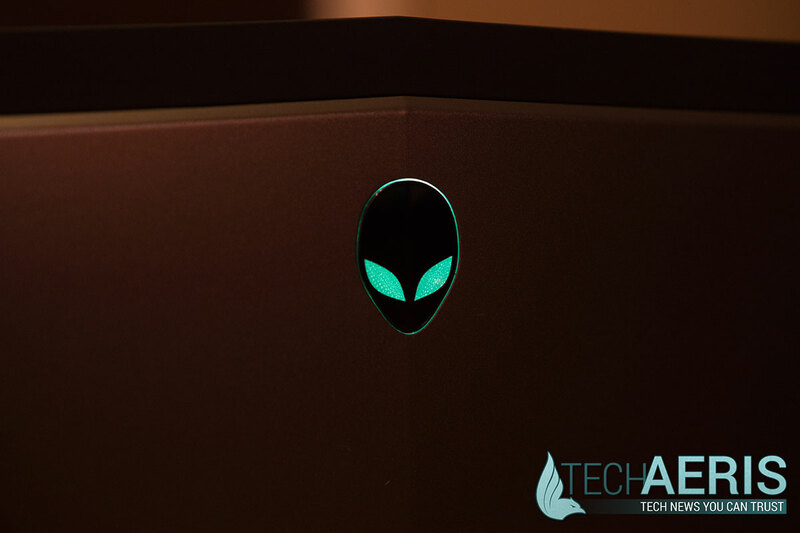 AlienFusion is where you can tweak and set your power settings, from power and sleep button actions, to changing the type of power plan you have enabled. AlienTouch allows you to set your touchpad settings, as well as sensitivity and scrolling options. TactX allows you to assign keystrokes, shortcuts, functions, text blocks, or macros to the four macro keys above your number pad. AlienAdrenaline lets you create a custom desktop shortcut that will modify your system and execute a sequence of actions like enabling the media player, in-game monitoring, VoIP, additional apps, launching a web link, changing your AlienFX state, enabling accelerator mode, and finally launching the game. NVIDIA’s GeForce Experience software includes ShadowPlay which allows you to record your gameplay and set camera, recording status indicator, and FPS Counter position overlays on any game screen. ShadowPlay works quite well, and recording at 60fps/50Mbps there was no slowdown or loss of framerate while gaming. The software also allows you to stream to your SHIELD tablet if you have one. 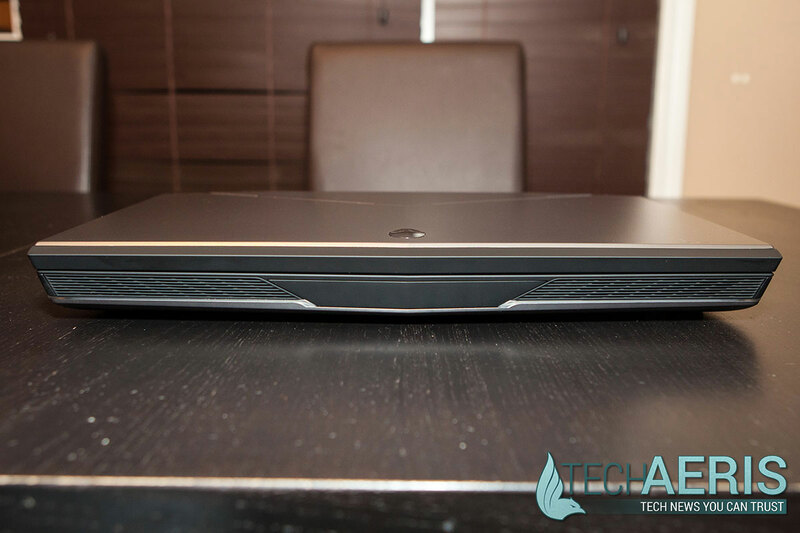 The speakers on the Alienware 17 are simply fantastic. 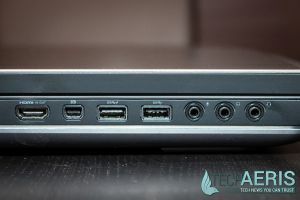 According to Dell, the speakers are tuned and certified by Klipsch® Audio engineers, and the included Dolby Home Theater audio software really give the laptop a great sound in games, movies, and music. 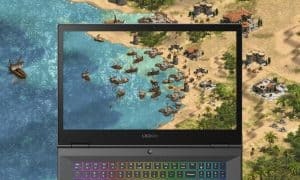 If you’re interested, you can check out some benchmarks on Dell’s website with regards to the Alienware 17. Personally I prefer real world examples and ran a number of games and applications that I use on a daily basis through the machine. 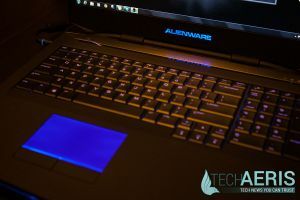 Obviously you’ll get different fps based on the game, but overall the Alienware 17 ran well and games looked gorgeous. As mentioned above, there was no noticeable slow down or loss of framerate when gaming with NVIDIA’s ShadowPlay enabled. I use Adobe Photoshop, Lightroom, and Premiere frequently. These (and other programs) all loaded quickly and ran smoothly. Batch image exporting to the secondary hard drive was fast as well. Exporting a 2 minute 1080p video from Premiere took about a minute as well. 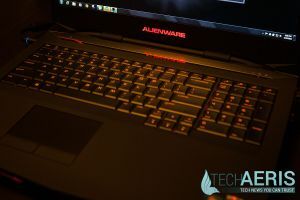 Even though the Alienware series is marketed as gaming laptops, you can be assured they’ll function just as well for daily application use as well. The camera works quite well for a 2MP camera, and the dual digital microphones allowed for the receiving party to hear me with no issues. 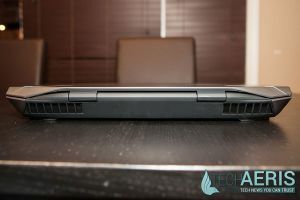 There’s no mistaking that the Alienware 17 is a beast, and even though it is a laptop you can’t reasonably assume it would last all day on a single battery charge. As it stands, I was able to get between 2-3 hours on a single charge depending on what mix of gaming, photo/video editing, browsing, and video watching I used. 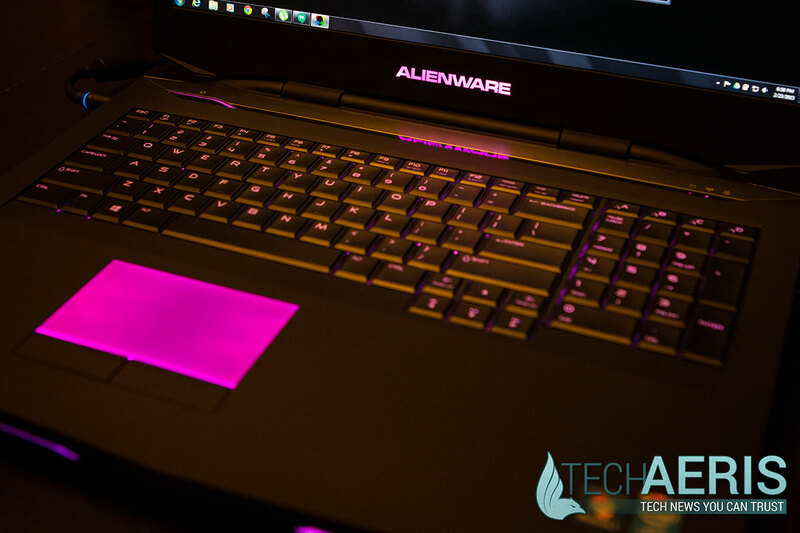 Dell offers a number of accessories for the Alienware series, including the Alienware TactX™ Mouse, Alienware TactX™ Headset, and a number of Alienware branded backpacks and carrying cases. 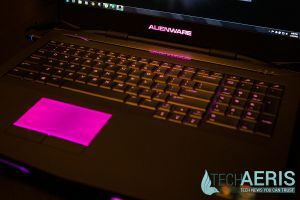 We didn’t have a chance to test out the mouse or headset, but I’d hope they worked well and only serve to enhance the Alienware gaming experience. 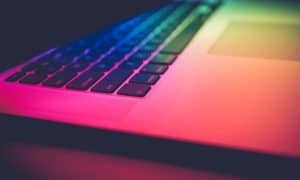 As far as laptops go, you can pay from as little as $300 to upwards of $4000. 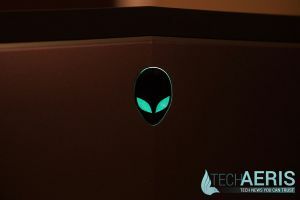 The pricing of the new Alienware 17 with the i7-4980HQ processors and GTX 980M graphics cards averages around the $2500(CAD) mark and given the performance of our review unit is definitely reasonable for what you get. Dell delivers a great gaming laptop choice with the Alienware 17. 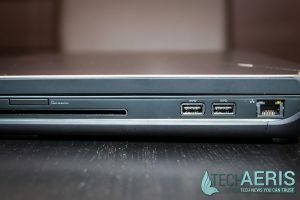 Not only does it perform well for gaming, but has plenty of hard drive space for storage and more than enough ports to accommodate multiple USB devices. 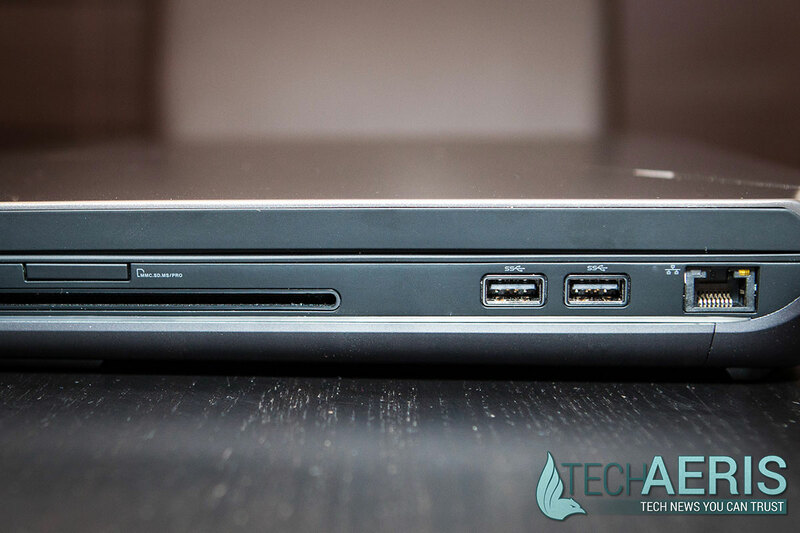 As well, the HDMI port allows you to experience gaming on larger screens if you so desire. 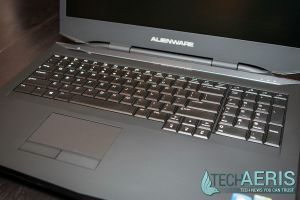 If you’re looking at a high-performance gaming laptop at a reasonable price, the Alienware 17 is definitely one you should consider. Great design and customizability, great screen and speakers. While it performed well, we rated it a 4 on performance as this was an older model and expect the newer models would be able to handle max settings on all our test games. 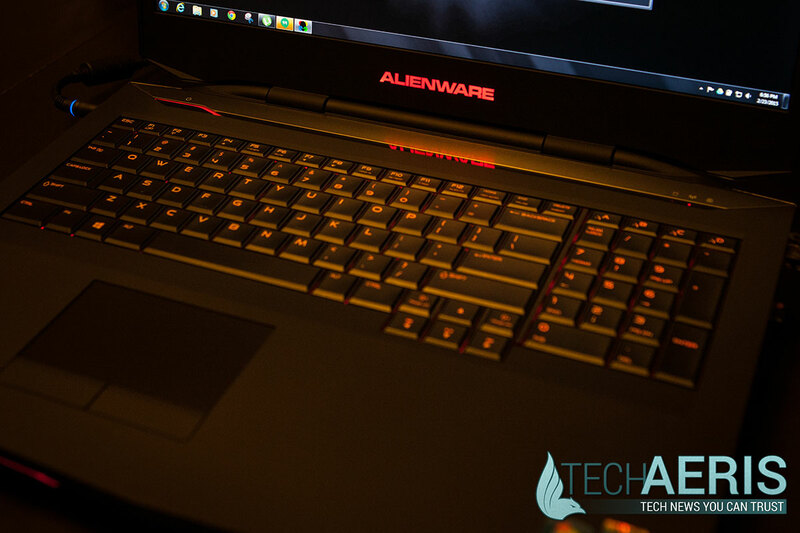 The Alienware 17 performs well for gaming, and has plenty of hard drive space for storage and more than enough ports to accommodate multiple USB devices. 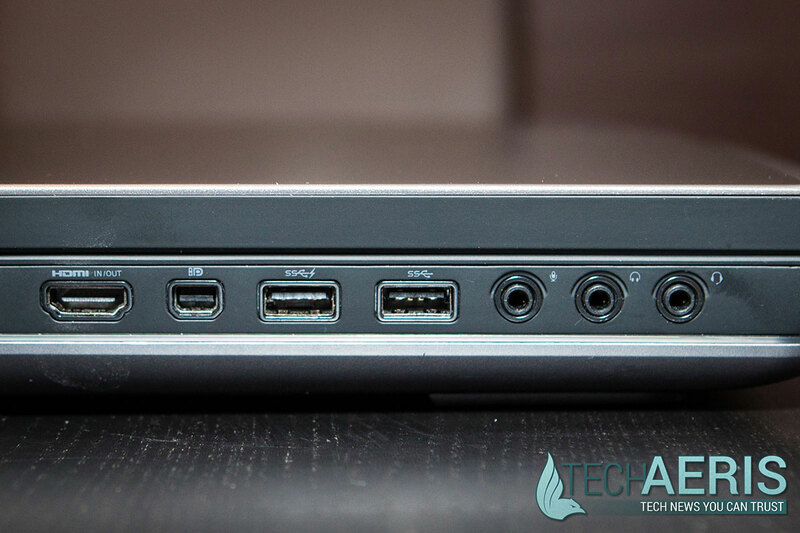 As well, the HDMI port allows you to experience gaming on larger screens if you so desire. 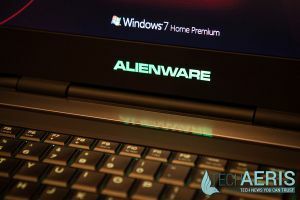 If you're looking at a high-performance gaming laptop at a reasonable price, the Alienware 17 is definitely one you should consider.